From: "Ghostbusters" and "Ghostbusters 2"
Background: Peter Venkman is a parapsychology doctor who has Ph.D's in both parapsychology and psychology. 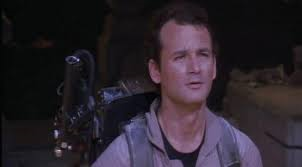 After an encounter with a ghost, he founded the Ghostbusters organization with Ray Stantz and Egon Spengler. Together, the team fought off paranormal threats that terrorized their hometown of New York City. Venkman was the unofficial spokesperson of the team, but was a valued member of the team. He loves his city very much, and will do anything to stop the paranormal threats that may try to destroy his family and friends.